BCA Bearings, a supplier of OE-quality hub assemblies, has won for the second straight year, one of the Automotive Content Professionals Network (ACPN) President’s Awards for Catalog Excellence at the Knowledge Exchange Conference. The Knowledge Exchange Conference is the biggest gathering of automotive content professionals, vendors and solutions partners in the world and is hosted by the ACPN, a professional society of the Auto Care Association (ACA). The Knowledge Exchange Conference was held this year from April 15 to 18 in Ft. Worth, Texas and the ACA has members from all major product segments of the automotive aftermarket industry..
A President’s Award is the highest awards given by ACPN. The winners of the awards were chosen by volunteer judges who evaluated submissions on specific criteria. The awards are given to those companies which submitted the best examples of paper catalog, web catalog and mobile catalog applications. BCA won the 2016-’17 President’s Award in the Mobile Catalog category, which recognized the catalog as a winner in terms of design, innovation, interactivity, navigation, content and technology. The catalog has a user-friendly design and functionality, and effectively showcases the BCA brand, its products, automotive technician training and additional valued content on a 24 x 7 basis. 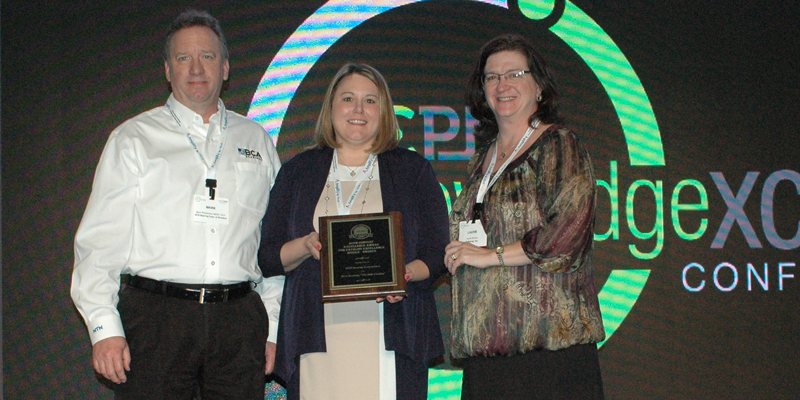 Commenting on the award, Mark Richardson, catalog manager at BCA Bearings said, that the company was very excited to have its mobile catalog app win the ACPN President’s Award for content excellence. He added that the app was developed to support BCA’s overall goal of building the premium BCA brand using premium content. The app did not just have a flashy front page to catch the attention of customers, but was also loaded with complete vehicle application coverage, multiple product images and detailed technical support information. He went on to express his confidence that BCA’s customers would continue to enjoy the enhanced experience created by the intuitive design and ease of access to the enriched content within the app.